600 Units / 10 Restaurants / 27 Acres / 2 Beach Bars / Private Beach / Lets Play!! 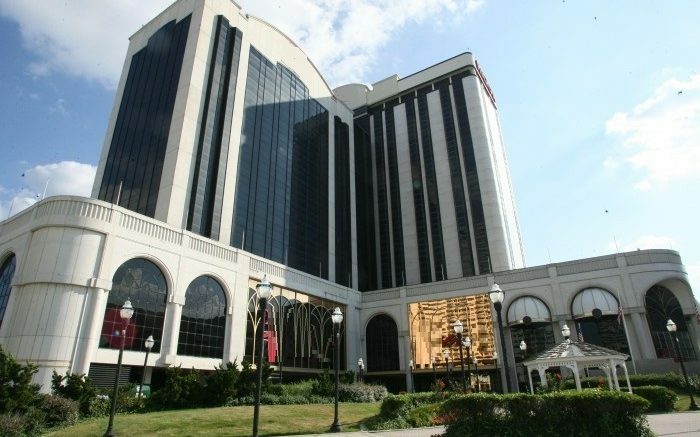 Advanced Consulting, Inc. expects the condo/hotel and resort along the popular New Jersey Atlantic City Boardwalk will bring hundreds of new Investors. The company is developing a condo/resort economic empowerment zone and business school in the area. Investors are searching all over the country for incredible value, imagine a boardwalk, beach front property, entertainment, within a market that’s increasing in value every quarter, with us doing in house financing that is not based on credit you get an investment property along with a personal beach front unit that is projected to continue its rise in value. Chief Executive Officer Gem Lake, who has worked with numerous companies over the last 25 years such as AT&T, Coca-Cola, Nabisco, Disney, Radisson Hotels and others, is calling on both small & large Investors. Lake stressed it would be a great business decision as we look to build a resort that focuses on the non-gaming side of Atlantic City for the world to embrace as a resort destination for all. He said when you look at the numbers, value upside, tourist yearly currently at 27 Million with the unbelievable value of each unit it’s something that is built for greatness. Many people look to invest when the market explodes at that point, they pay full market rate, getting in early makes all the difference. He was asked, why are you opening this door to both large & small Investors, Lake replied, it’s an opportunity to merge diversity with a unique real estate vision that will build high levels of value. Gem Lake has brought in Mr. Wonda, a 15-time Grammy-nominated and three-time Grammy-winning super producer www.wondamusic.com/wonda to help with the building of one of the biggest, highest sound quality music studios in the U.S. Wonda is regarded as one of the world’s best music producers with a well-known music studio in New York City. He has produced for music greats such as Shakira, LL Cool J, Mary J. Blige, Justin Bieber, Carlos Santana, Beyonce and many others. Our concert series will look to attract over 100K people at each concert on the beach, this will attract tourist on an international level to enjoy our property. Lake said the price points we are selling a unit for is beyond value, we want our investors to grow with us as we build the most valuable non-gaming structure on the entire boardwalk that reaches around the world. Investors of all sizes from across the country can benefit, it’s nothing like owning a unit directly on the beach, with investment value & personal value. Charles Omar Sutton, spokesperson for Advanced Consulting Inc. and a member of the infamous Sutton family, said along with providing an incredible opportunity for Investors the firm is bringing unique restaurants and offer extraordinary entertainment experiences to the Atlantic City region – something that has never been seen on the Boardwalk before. The Sutton family is well-known for buying and restoring various building including the Apollo Theater. They helped in the renovation of the Harlem community and the creation of the WLIB and WBLS radio stations to form Inner City Broadcasting, which owned over 25 radio stations throughout the U.S.
What makes this opportunity so incredible, it allows the world to play monopoly for real by owning a piece of The Boardwalk. Investors reach out today its an opportunity to own incredible rental property directly on the boardwalk. Be the first to comment on "Advanced Consulting Inc Looks To Bring Hundreds OF New Real Estate Investors To Atlantic City To Play Monopoly For Real"